Whether you want to purchase a new car or bring in your older model for service, choosing Mike Anderson Chevrolet of Merrillville is in your best interest. We carry a great selection of new and pre-owned Chevy cars, trucks, and SUVs and deliver exceptional auto service to every single customer, no matter what the issue at hand is. To get in touch with our Chevrolet dealership near Frankfort, IL with all of your initial questions, give our team a call at 219-947-4151. Are you looking for the all-new Camaro, a certified pre-owned Malibu, or a used model of another brand? Shop our new, CPO, and used inventories for a great auto selection at great prices. In our new vehicle inventory, you’ll find plenty of Chevy car, truck, and SUV options to meet your every day driving requirements. 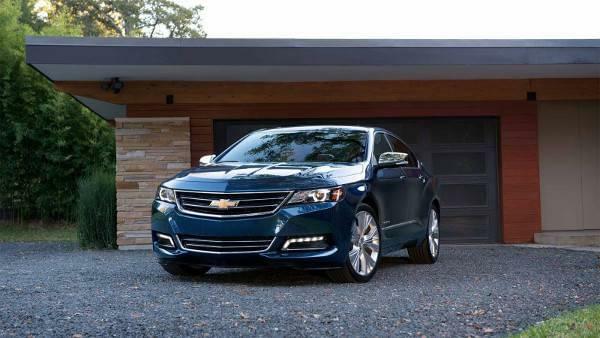 If you’re looking for a like-new vehicle at an affordable price, then purchasing a certified pre-owned Chevrolet model is likely your best option. Have you had your eye on a used vehicle that isn’t available at any other dealerships? Check our pre-owned inventory to see what makes and models we have in stock. If you need to limit your spending, browse through our vehicles priced under 10K for a fantastic value. Once you’ve looked through all of our inventories, schedule a test drive with the model of your choice. Because most people who shop at our Chevrolet dealership near Frankfort, IL often don’t purchase their vehicle in full, we offer affordable auto financing options that make sense for any budget. Our team will work closely with you to see how we can get you an auto loan or lease to fit your month-to-month finances. We also offer new vehicle incentives and pre-owned vehicle specials to help you save on your next purchase from Mike Anderson Chevrolet of Merrillville. We encourage you to learn more about how our financing center can assist you. To get pre-approved for a loan, fill out the convenient online financing application. You can also get a rough estimate of how much you’ll owe each month on your vehicle by using the handy Chevy payment calculator. Stuck between buying and leasing a vehicle? Read our buy vs. lease page to see which option makes the most sense for your lifestyle. Finding a trustworthy auto service center is key to keeping your vehicle on the road for as long as possible. Whether you need simple auto maintenance or need a thorough inspection, take your vehicle to the Chevy service center near Frankfort, IL. Our technicians are Chevy certified so they’ll know your vehicle inside and out. Don’t trust your local mechanic with your beloved Chevrolet car, truck, or SUV; schedule your auto service appointment at Mike Anderson Chevrolet of Merrillville today. Committed to providing exceptional customer service to every customer who steps into our showroom or service center, the team at Mike Anderson Chevrolet of Merrillville will make you feel at home. We greatly appreciate your business and wish to meet all of your automotive demands no matter if you need a new battery or a new car. For more information on our inventories or services offered, please don’t hesitate to contact our Chevy dealership near Frankfort, IL by sending our team a message online or by calling 219-947-4151 to speak with a team member directly.